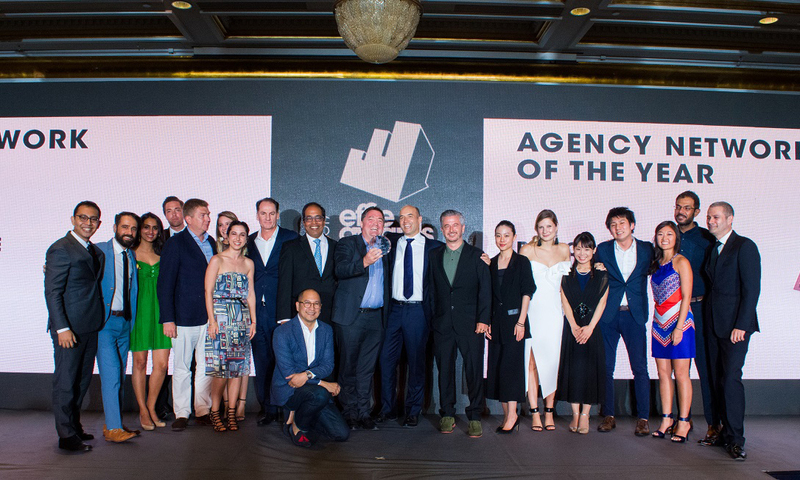 Winners of the 2017 APAC Effie Awards were announced at the Awards Gala on Friday, April 21 at Four Seasons Hotel Singapore, celebrating Asia Pacific’s most effective marketing campaigns. A total of 71 Effies were presented at the Awards Gala – 1 Grand, 15 Gold, 21 Silver and 34 Bronze. DB Breweries and Colenso BBDO took home the highly coveted Grand Effie for their effort, “Brewtroleum.” The team also won 3 Gold and 1 Silver for the campaign. 4 Special Awards were presented during the Gala. Clemenger BBDO was named the APAC Effie 2017 Agency of the Year, bagging 12 trophies. On the network level, BBDO Worldwide took the lead, with a total haul of 29 Awards, including the Grand Effie, followed by Ogilvy & Mather and MullenLowe Group coming in second and third, respectively. Brand of the Year and Marketer of the Year were presented to DB Breweries – DB Export and Unilever, respectively. These special Awards are accorded based on the points received by all winners and finalists. Australia emerged as the strongest market in the region this year, contributing the highest number of winners. Following in the ranking are India and New Zealand. Organized by Confederation of Asian Advertising Agency Associations (CAAAA) and Tenasia Group, the APAC Effie Awards are recognized by advertisers and agencies as the gold standard of marketing effectiveness in the region, a pre-eminent award that celebrates and awards ideas that work. Held in conjunction with the 4th Awards Gala was the inaugural APAC Effie Forum 2017, a collaboration with the Singapore Advertisers Association. Winners and finalists will contribute points towards the ranking on the 2018 Effie Effectiveness Index, the global ranking which identifies and ranks the most effective marketers, brands by analyzing finalist and winner data from worldwide Effie competitions.